Especially for fans of shooting dead, we selected the most interesting and memorable games of different genres, in which there are zombies – both as opponents and as main characters. These 25 games are the best representatives of their genre and all thanks to a rich gameplay that allows you to immerse yourself in the atmosphere of a zombie apocalypse. All you need to know about the zombie apocalypse is that it will happen at the moment when you will drive your car along one of the roads suddenly deserted. Fearfully? Do not be afraid, because you have a whole arsenal of weapons in your trunk hidden in such a case, that means that you will have the opportunity to fight with the crowds of the living dead attacking you. 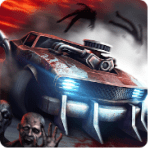 Zombie Highway is an exciting gaming application, in which you are moving in a car, and using weapons, fighting off the invasion of zombies. Despite the fairly simple graphics, the game looks very realistic. Hungry creatures really want human flesh, and on this road, you are the only possible dinner for zombies appearing from everywhere. In order to repel their attacks, there are pistols and shotguns at your disposal. The problem is only that there are too many zombies and you cannot always beat them off, so you need to try to be extremely attentive and concentrated, otherwise, zombies can have a good dinner this evening. The game has three environments and eight levels, high-quality background and sound effects. You can choose between four different cars, each of which has its own characteristics, as well as to choose the jumps of zombies. Convenient gameplay and 3D graphics of the game Zombie Highway – what else is needed for extreme driving on abandoned roads in a zombie apocalypse? Barry is an American boy, alternately catapulted into several worlds, filled with cruel monsters, dinosaurs, and bloody shootings. The fate of Barry is still unknown – the surrounding worlds are really dangerous and they have a bunch of untold secrets, besides, not just monsters are everywhere, but real zombies, infected by an ancient virus, and one should not expect anything good from it! The hero is already hunted by the whole crowds. It’s time for players to enter the path of war and save Barry’s life in the application Age of Zombies! The first levels will not cause any problems. Zombies barely move their withered legs, and players are able to quickly maneuver, evading attacks and shooting everything. However, the following levels will cause some difficulties. Opponents are fast, dangerous and, attack you together. Hurry up to download Age of Zombies, where is the real struggle for the life of Barry, and maybe the whole world! Everyone decides to go in for sports and jogging, but there is always a lack of motivation to make a decision come true. Now, this motivation is Zombies, Run!. This game is quite different from other stories with zombies. 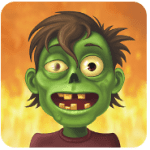 According to the scenario, the world is attacked by zombies, and your goal is to save the city, that is, those people zombies have not reached, delivering them the necessary products, medicines, and other things. However, to start playing the game, you need to run – morning jogging, training on the treadmill and so on. At this time, using the headphones, the application begins to create sound effects that make you feel that the zombie is actually nearby, and the need for running begins to grow. In Zombies, Run! people from the base will contact you, tell a story, warn about danger and send voice messages. While you are listening to a fascinating story, the application records jogging information: kilometers, time, speed, etc. After jogging, you will be able to distribute the collected products and items to your city, which needs help. Each time the game will give you various missions that you can complete immediately after jogging. 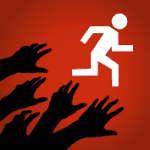 If you run in the morning, or really want to start, we recommend downloading Zombies, Run! Run with pleasure! Game Zombie Frontier 3 is a fascinating sequel to the previously sensational version. The plot of Zombie Frontier 3 is a shooter in which you have to fight with zombies. According to the story, you get into the world infected with a virus that turns people into zombies – bloodthirsty monsters that destroy all life on their way. You need not only to stay alive, but also to find the medicine as quickly as possible in order to rid the world of bloodthirsty monsters. 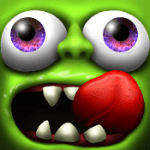 In Zombie Frontier 3, there is very high-quality graphics. From the first minute, you completely immerse yourself in the atmosphere of a virus-infected megalopolis, infested with zombies. You need to shoot back from monsters, using a variety of weapons, from pistols to assault rifles. Megapolis is divided into four zones. On each of these zones, you have to complete a special mission to get bonus items and point. Using them, you can improve your character and gain access to new weapons. In total, the game has 40 unique achievements, as well as the ability to defeat four insidious bosses. The game is distributed on a free basis and is characterized by simple control, specially adapted to mobile devices. Achtung! Zombies are coming! But your role in this game is not similar to the laws of this genre. This time you will not be among the unfortunate survivors fleeing from the crowd of furious undead. You will be on the other side of the barricade. Your task is to take your place in the army of the dead. The player’s path starts with a normal hungry zombie, hunting for people on the streets. Just remember: the more people are bitten by you, the longer Zombie Tsunami will rule on the planet. Contrary to all the usual logic, the brain is not the only thing that will be the object of hunting. Collect bonuses and various improvements. There are ten of them in the game. 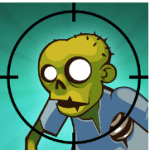 It will help you to activate a zombie giant shooting with laser cannons built into his eyes, or clone your zombie companions because we remember the main goal of the game – to fill the whole world with zombies. In the game, you are waiting for more than three hundred different missions on eleven levels. It is the perfect entertainment for the whole family. Prepare for the upcoming zombie apocalypse with the amazing game DEAD TRIGGER 2. 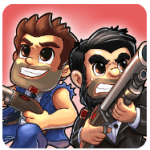 Having won the huge success of the first part – the shooter returned to your smartphones and tablets. Now the game has become the more saturated story, new ways of control, new weapons and amazing dynamic graphics. The player will hunt zombies in a variety of locations – will have to explore the eerie streets of cities, African deserts and abandoned mines. The player must join the society of the Global Resistance. This community consists of real players, and each of them has an impact on the development of the plot. Thanks to the community, the player will be aware of all the events happening by tuning in to the radio wave. DEAD TRIGGER 2 is a first-person shooter. In order to start the battle, you will need weapons, necessary equipment, and ways to restore health. In the game, there are really a lot of interesting locations: the open city, the underground mines, and the slums. Fightings against zombie bosses are particularly spectacular. Be attentive: zombies can be anywhere. 1) You need an Internet connection for the game. 2) There are different types of tasks. 3) There are zombies that do not die from a couple of shots. 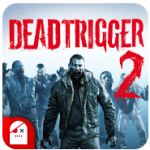 If you want to become a member of the Global Resistance, and if you have the courage to kill zombies, you need to download DEAD TRIGGER 2! Storyline. The destructive virus Z appeared in New York, not by accident – the risky research work of scientists, the shortage of vaccines and protective suits and the complete concealment of information about the rudiments of the epidemic from local residents. The free-spilled virus instantly enslaved the minds of innocent people – the residents became insane and, trying to bite each other, lost themselves in a veil of chaos and despair. Only players who decided to download UNKILLED can free the streets from madness and return hope to the surviving people. Tasks and rules. UNKILLED is a first-person action game, divided into various episodes with changing tasks and complicated rules. In the center of attention, Joe, a member of the military unit. He is aimed to help people and clean the streets of filth. The tasks are diverse at different levels – collect the resource, replenish ammunition or clear the zones from enemies using improvised items. By the way, there are enough weapons. Graphics and effects. 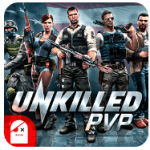 Action UNKILLED is like a breath of fresh air in the world of mobile entertainment – high-resolution textures, realistic physics of movement and believable ballistics, a variety of locations and colorful effects of explosions, wounds, and adrenaline madness. Do you dream of being in the middle of this blockbuster? Do you want to feel like a great zombie hunter? Welcome to the world full of these bloodthirsty creatures. It’s time to destroy and profit from the invasion of the undead. 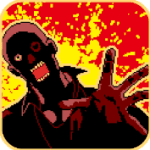 Zombie Catchers is a new top-action strategy, in which your main task is to save the world from a zombie apocalypse. The planet suffers from the undead. Who will free it? Bud and AJ are ready to fulfill this mission. They decided to open their business on Earth, but for their own safety, they need to catch all the zombies. And for this, there are a lot of traps, devices and weapons in their arsenal. But the main thing is not only to kill the undead. It is more important to quickly catch zombies and to squeeze out as much profit as possible in the depths of a secret laboratory. Addictive gameplay, dynamic graphics, a huge selection of different devices for capturing enemies. All this makes Zombie Catchers fascinating and intriguing. Discover new locations and gain access to new inventions. Improve your business on Earth and expand the secret laboratory. Zombie Gunship Survival is a wonderful action game. Users will become virtual gunners. 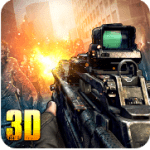 Prepare to fight with zombie creatures, firing them from the air. Users will see the ship that has come ashore. It does not respond to any sent requests, and we have to resort to the help of a special detachment. It discovers that on the ship there are walking dead. Of course, it is urgent to take some action, but even with the help of a missile attack, it is impossible to sink the ship. The user is provided with a special base, which is the last chance for the entire human race. Use different weapons provided, use ground forces to achieve the goal. The own aircraft, available at your disposal, needs regular updating. Be engaged in defense of your own staff. Defend yourself as best you can, otherwise, you will not win evil spirits! Graphic design is unusual, somewhat cinematic. Sound effects are good, they will not annoy. Realistic sounds are used. 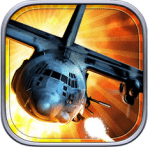 If you like action games, then try Zombie Gunship! It is worth noting that the application is distributed completely free of charge. The Day: Zombie City is a dynamic pixel shooter, in which you need to move around the streets of the city, fighting off crowds of walking dead. This free game will please with a large number of the most diverse weapons so that the destruction of zombies will be an enjoyable affair. The game has a lot of interesting levels and locations. The main task of this action is mass destruction of zombies, moving through the streets of the city and hunting for the brains of living people. To solve this problem, the main character uses all available methods from a knife to a grenade launcher. The bosses in the game are quite complex, and their destruction requires a certain skill. Get points for each dead and rise up in the table of the best undead fighters. In general, the game is dynamic and exciting. On the street, you will meet a wide variety of monsters, each of which will have its own characteristics, speed, and strength. Become a defense for the survivors, get to the main goal and destroy it. Get bonuses and do not stop for a moment. The graphics in the game are made in a pixel style. Good animation and special effects make the gameplay more dynamic and exciting. The musical accompaniment creates the necessary atmosphere for a battle with zombies. Zombie Drift is an excellent game, made in the genre of action. Throughout the gameplay, you need to drive and shoot down zombies. There is a small arena where are several dead. You need to ride and drift so that to knock down zombies at the same time. The first levels are very simple, but gradually the number of dead increases, what greatly complicates the process of passage. Do not stand in one place, because zombies can also hit the car. If the machine’s health reaches zero, you will lose. For each downed creature, the user receives a certain amount of gold and diamonds. Money is needed to purchase new cars with more improved characteristics. Diamonds allow the user to buy various items that help to quickly kill dead people. Free game Zombie Drift has a classic racing control. On the left, there are the visual arrows needed to change the movement of the car. On the right, there are two touch buttons (pedals). They are responsible for driving the car forward and backward. Periodically, the locations change their visual design. The gameplay is dynamic and interesting, but a bit monotonous. Install a free game Zombie Drift on your device, shoot down zombies, earn money and buy new cars. 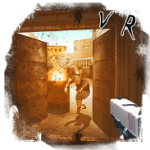 The action Zombiestan VR, in fact, is a usual shooting range, which differs little from similar applications. Before the game starts, the user must select a location. There are only four of them, but the developers promised to add a couple of new maps. After choosing a location, you are transported to an unknown place. The user has a gun in his hands. In a few seconds, the main character will be attacked by zombies from all sides. Try to shoot only in the head. You will need one or two bullets to kill the dead man. The ammunition is limited, so do not waste it. For killing you earn points. Unfortunately, the character does not move and stands in one place. You can only spin around your axis and shoot back the zombies. It is immediately evident that the developers tried to make an ideal visualization. All four locations are perfectly drawn and elaborated to the smallest detail. However, in general, the graphics look rather modest, but this is quite enough for such a genre. Due to the presence of blood and cruelty, children under 12 years of age are not recommended to play. Voice acting is close to reality. 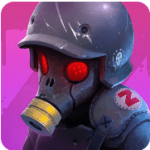 Install a free shooter Zombiestan VR and get the maximum number of points in all four locations. Zombie Town Defense is an excellent strategy game. Zombies began to rise from the graves. This was due to a virus mutation, and now someone needs to defend the city. Gradually, bloodthirsty zombies fill the city streets, infect more and more residents. You should prepare for serious tests, do not allow zombie creatures to get to the airport, otherwise, they will fly away on an airplane somewhere, and they will infect the whole world! The life of the whole planet depends on your actions. Use machine guns, poisoning guns, flamethrowers, rocket launcher. Each type of weapon is effective against certain zombies. For example, a machine gun cannot kill zombies moving through the air. Poisoning cannon can make the enemy slower (poisoning occurs gradually). The flamethrower is so powerful that it can burn more than one row of zombies. The missile is designed to help you an air battle. When the round begins, notice the icon indicating that there will be zombies in the sky. Therefore, users can be warned. 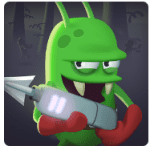 Do not forget to improve the existing weapons to fight zombie creatures more effectively. Among the additional bonuses, there is a grenade. Also, there is a frost and a laser. If you like the games of the genre «tower defense», then be sure to pay attention to this application, which is free of charge. Adore arcade projects that tell of post-apocalyptic worlds populated by walking dead people? The actions of this game take place in 2027, just after a wave of a previously unknown disease passed through the world, turning all deceased people into walking dead. However, the protagonist was lucky, and now your job is to help him stay alive as long as possible. If you believe that there is absolutely nothing complicated, then you should know: there are tens of thousands of bloodthirsty zombies around you who want to devour you, and hundreds of real players who are ready to break your skull. The gameplay. The main character appears near the rusty truck. Immediately look into the car, there should be clothes, and some simple stuff for the first time. Next, in order to survive, you have to act. First, run around the location collecting everything in your path. Well, then go on, visit other locations, collect things, create what you need (clothes, weapons, equipment), and make friends. 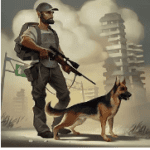 In order to make the game even more interesting, the developers added a chat to the game, and the ability to create clans, because as you know, surviving in the post-apocalypse in a group is much easier than alone. By the way, over ten million people already play Last Day on Earth. 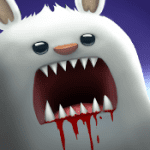 Zombie’s Got a Pogo is a fun free game application where you will have the power to control zombies. The gameplay. 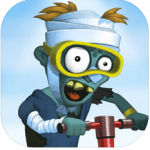 A feature of the main character is that he is an unruly zombie who jumps on the pogo. A pogo is a simple stick with a spring on which you can jump. Believe us, this is incredibly interesting. The player will need to pass new levels. For each of them, he will receive prize points, newly improved pogo and a huge number of bonuses that simplify the journey. To make it easier for the player to cope and understand the task, there is the possibility of training. But it is worth noting that it is quite easy to pass the training, but in reality, it is very difficult to cope with the original control of the pogo. The game has a beautiful bright graphics and excellent mechanics. All elements of the game are realistic, sometimes they even frighten. 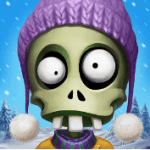 Zombie’s Got a Pogo is a cool game, which helps to have fun and interesting time. Dead Ahead: Zombie Warfare is a strategy with some features of the Tower Defense genre. The task of the player is to move forward on the map, infected by zombies. It can be done only with the help of units. The user must place them according to his energy scale. Placement of each hero costs a certain amount of energy. Also, there are super-boosters. If you completely fill the rage scale (100), you will get a bonus that will destroy all the zombies on the battlefield, thereby giving you access to the barricade. After the destruction of the barricade, you can move forward. Pixel 2D graphics of the game resemble old console games. You can open new fighters by moving forward on the map. To unlock new sections on a level, you have to spend gasoline (an imitation ride is created). Do not let the undead destroy your bus, otherwise, you will lose. At the bottom of the screen, there is a row of units that can be used after the end of the freezing time. The stronger the character, the longer it will be unavailable and, the more expensive its price. In case a new zombie appears, you will receive an appropriate notification. By clicking on it you will go to the zombie book, where there is information about each of the enemies. Stupid Zombies is an excellent game which will plunge you into a zombie apocalypse. The game has elements of not only a shooter but also a puzzle, what makes it even more attractive and interesting. Actually, as in any other game connected with zombie-apocalypse, you have to kill all the infected people. It is better to kill the walking dead from the first shot. It can seem not an easy task. Carefully look where the zombies are hiding and what surrounds them. You need to shoot so that the bullet hit straight into the walking dead man. Properly calculate the trajectory before the shot, as in case of failure – you can be killed. The game is just an unimaginable number of levels – as many as 300! Each of them is more complicated than the previous one, the number of dead is increasing, their strength is also increasing. Therefore, do not forget about bonuses, paving the way for new improved weapons and protection. Also, we want to note that the game is easy to manage, the interface is thought out and simple. Be careful, shoot more accurately, clean our planet of zombies, and let luck accompany you! If you are one of the millions of fans of classic zombie farms, then Zombie Castaways has prepared for you a new job. Build your next zombie farm and at the same time look for a lost place, which is called a Zombium. Old zombies say that in this place any living dead person can become a real human. As it is supposed by the laws of the genre, the game is full of classic zombie characters. Each of them has its own distinctive features, appearance, habits, interests, and other characteristics. In addition, the environment is filled with bright colors, a large abundance of greenery and flowers and other vegetation. The vegetables that you will grow are unusually beautiful and they just want to be served to the table! But now you do not have time for this. Firstly, you are to find the pirate treasure, what means that you have an additional opportunity to earn money. Secondly, these treasures will make the realization of your dream closer, which is to find the coveted Zombium, to become a human being and return to the city inhabited by ordinary people. After you download SAS: Zombie Assault 4 to your mobile device, you will be able to transfer to the virtual world and get to the distant 3014 year. And here an unpleasant surprise awaits you: a special infection spreads across the planet, which can wipe all people out of existence. The infected by viruses people have already begun to turn into zombies, and every day there are more and more of them. But, fortunately, there is a reliable tool against the virus – a special squad of super-SAS soldiers. Your task is to become a part of this squad. You can choose one of the characters, and turn into a real super-soldier with almost unlimited possibilities. To resist the zombies, you will need armor and special weapons. Collecting gaming points, and earning bonuses you can replenish the supply of equipment and arsenal. You have to go through seven challenging and exciting levels. Hordes of zombies and dangerous adventures wait for you on each of them. You need not only to kill the walking dead, but also to stay alive to continue your mission and completely clean the planet of evil. 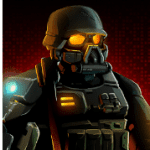 The game has colorful, high-quality and detailed graphics, and since SAS: Zombie Assault 4 was created specifically for mobile devices, it’s very easy to manage the character from both the tablet and the mobile phone. Once upon a time, there was a wizard who once made so that those who have died long ago raised. Not only people but also beasts became undead. A nightmare is coming upon mankind, and we need to decide what to do next. The main hero of the Minigore 2 game is John. Armed he goes to kill the living dead. Are you ready to start solving more than three hundred tasks? According to the developers, you will struggle with a hundred walking dead at the same time. And if you think you can not do it yourself, then invite your friends to help you. 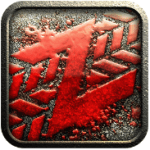 Together, you can easily defeat the enemy by setting up a noble zombie massacre. Arsenal weapons include more than ten different types. Updates are also provided. If you get enough money, you will be able to buy something better and more powerful for yourself. 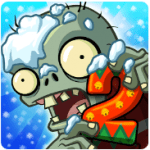 Plants vs. Zombies 2 is a continuation of the popular strategy, which millions of fans around the world have already appreciated. Download the new version on your mobile phone and join the battle with hordes of zombies who hunt their favorite delicacy – the human brains. The plot of the game is unchanged. Brave plants protect their owner from attacks of ferocious zombies. Each plant has its own unique characteristics and can be of special use to you in defense. The difference between the second part of this game in the genre of tower defense is that you fall into different time epochs. The battle with the zombies takes place in the backdrop of the Wild West and the pyramids of Ancient Egypt, as well as other historical landscapes. Solve puzzles, mysteries, enjoy interesting bonuses and exciting battles. Excellent graphics and sound effects create a unique atmosphere, and fascinating options make the process of passage even more exciting. Collect your terrible army of plants, give them extra power and defeat zombies around the world.